The girls just went back to school, but they are already looking forward to the extended 3 day weekend! We aren't hosting a Labor Day party this year, but will be guests at a few gatherings over the weekend. Of course, we can't go empty handed! I thought about making an all around American Apple Pie to take with us, but I just bought a new tart pan and wanted to try it out. 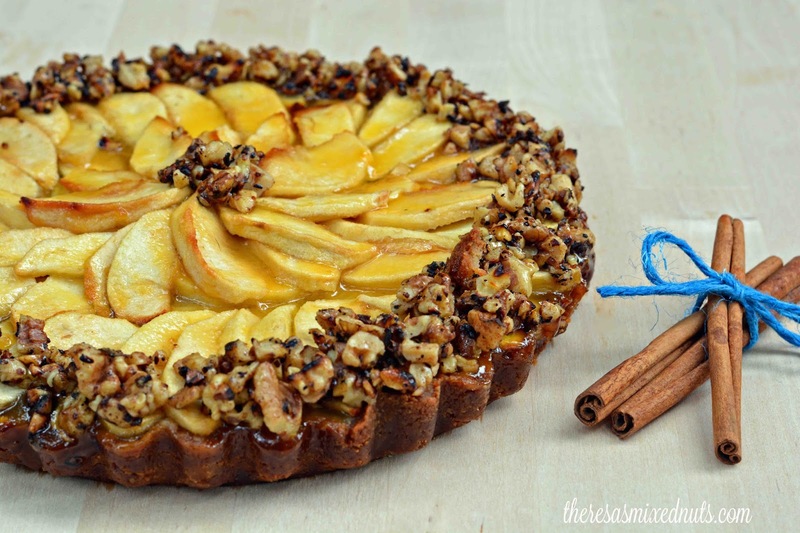 So, we are taking this Honey & Apple Walnut Tart because it's just as American as an apple pie! The whole tart is scrumptious, but I wanted to eat the crust dough straight out of the bowl. It was some seriously amazing stuff! Have a great weekend!! That tart looks amazing.. you're such a great cook! it looks positively scrumptious! And ever so beautiful! Mmmm! Peaches sound so good too! I think that will be my next tart! Are you serious? I would eat that entire thing in one sitting. NOM. No, no.... not now when I'm hungry and Angie isn't in the house to feed me. Wait, I mean... I'm tired and there's no food in the house.... Yeah, something like that haha. Oops. But um... scrumptious it sure looks! Yes, please. Ho food? I hope that's a typo haha! Oh Blue! You know your the second biggest ho around, next to Dezzy. Don't deny it ;) hwahahaha! It looks fantastiiic Theresa.. You are one talented chef indeed.. This looks amazing! I love finding yummy new recipes to use honey in. This one is perfect for fall. That looks so good! I love cooking with honey, and this is the PERFECT use for it! That is such a pretty dish! I love cooking with honey and this is a great example of one good sounding recipe. That is such a beautiful sight. That tart is scrumptious looking. I need this delicious tart in my life immediately. What a perfect way to welcome fall. 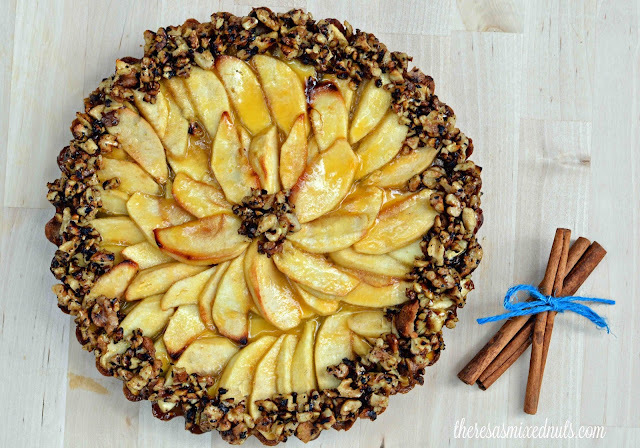 That is one amazing looking tarte and I am positive it tastes as good as it looks! That looks beautiful! I think if I made it, it would not look like that! This looks and sound delicious! I’ll have to make these at home for my family! You are invited to my house right now!!! That looks like something out of a magazine! That was a fun way to try out your new tart pan. It turned out pretty as can be too! It looks so pretty! You did a great job with this! What a gorgeous pie. I love how it was photographed too! This would be a huge hit in my home. I will have to get the ingredients i need to make this. I hope mine turns out as good as yours. I don't think I've had this combination before, especially in a tart! Want to try it! What a pretty presentation! Love the hero ingredient is honey! It does look very good, that's for sure. I just went through my baking pans to get rid of things. I had two tart pans that I never use anymore. I love desserts with fresh fruit! Looks delicious!